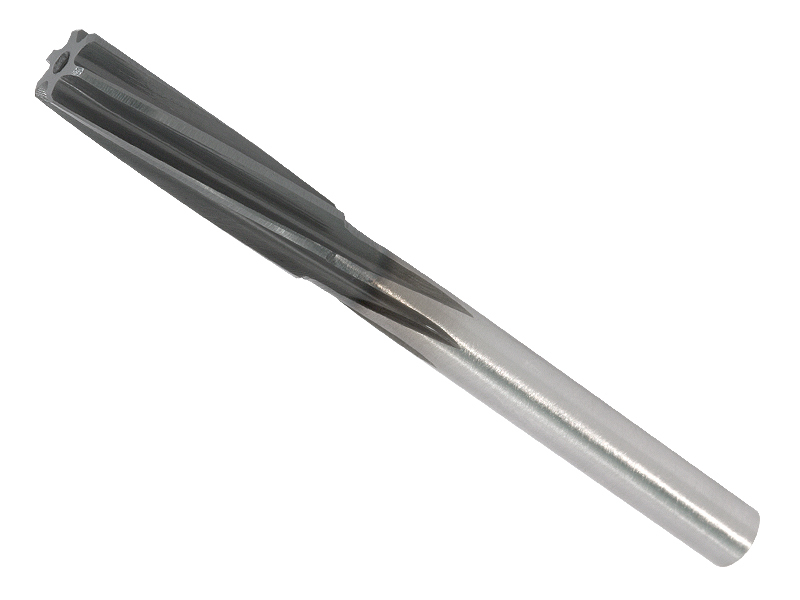 Reamers for automatic lathes HSS-E with or without hard surface coating ACUREA, straight NC-shank h6 in whole mm-sizes, left hand spiral 7-8°, right hand cutting, from Ø 3.76 up to 20.05 in 0.01 mm increments available from stock or at short sight (also in H7 tolerance). Also available with right hand spiral, right hand cutting (for blind hole reaming) on request. Option: trough coolant (available from Ø 4 mm up to 20 mm, for an order of minimum 5 pieces per Ø).